During the course “Discover Free Diving” we will visit magical coastal locations by boat and we will put on a diving suit, mask, fins and weights. We will admire the bottom of the sea from the surface but we won’t stop there. We will also learn the basic rules of free diving so as to dive safely. While you dive, you will feel becoming one with the underwater world since nothing will disturb your serenity. You do not have to be an athlete in order to enjoy free diving. 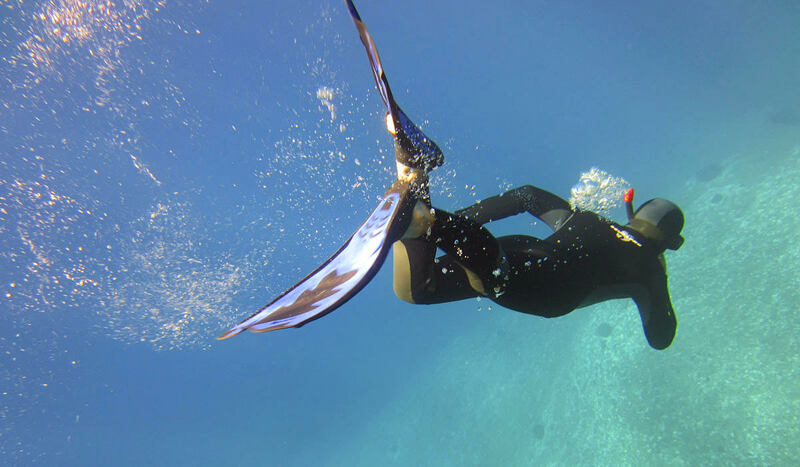 During the whole program you will be under the supervision of a PADI Free Diving instructor. You should be over 10 years old in order to be able to attend this course.